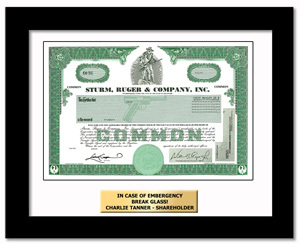 DEBARRED THE USE OF ARMS"
Sturm, Ruger & Company, Inc. designs, manufactures and sells firearms and related accessories. The Company offers products in four industry product categories: rifles, shotguns, pistols and revolvers. Some people just love their guns!